“First White House Easter Egg Roll,” Histories of the National Mall, accessed April 22, 2019, http://mallhistory.org/items/show/219. The first official White House Easter Egg Roll was held Monday April 22, 1878. Earlier in the 1870s, children rolled eggs across the lawn at the US Capitol. Congressmen were not pleased with this activity and in 1877 prohibited the Capitol grounds from being used as a playground. On Easter Monday, 1878, President Rutherford B. Hayes and his wife Lucy opened the White House lawn to egg rollers. Soon after, the Easter Egg Roll became a White House tradition, and was one of the few events in Washington that was never segregated. 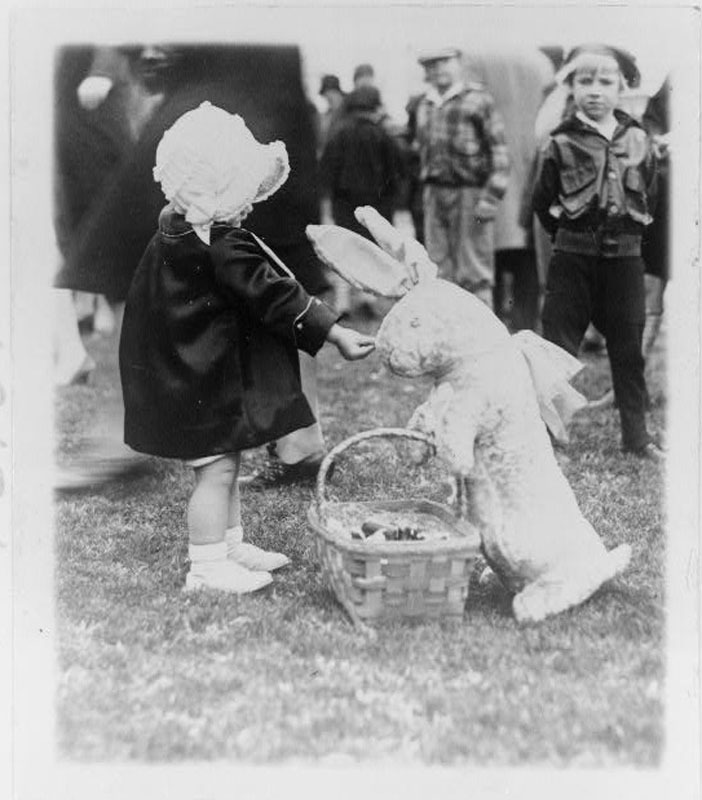 In this photo from 1929, a youngster shares her candy with a stuffed rabbit on the White House lawn. Library of Congress Prints and Photographs Division. View original.